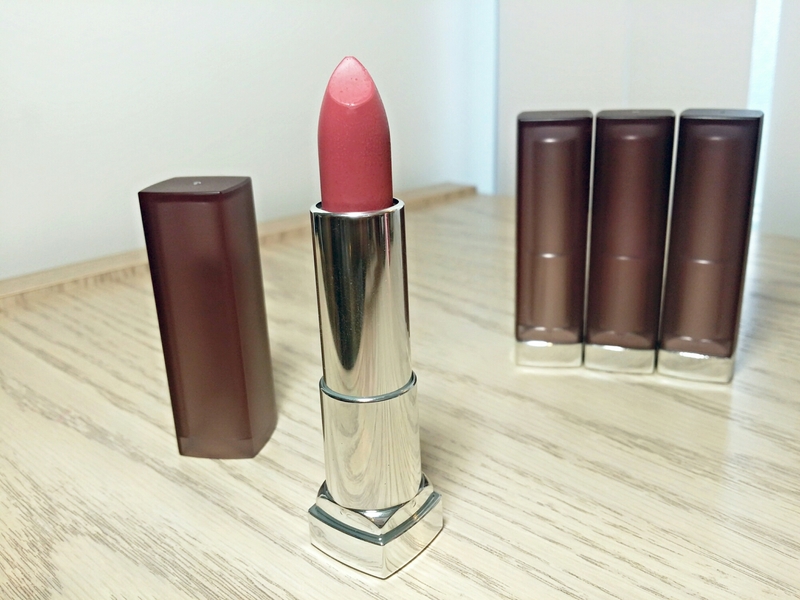 Oh, Maybelline, how I adore your Color Sensational Matte Lipsticks! I thought I’d go all crazy over the pinks but my favorites are turning out to be the more subdued, fall appropriate shades. Like Touch of Spice. 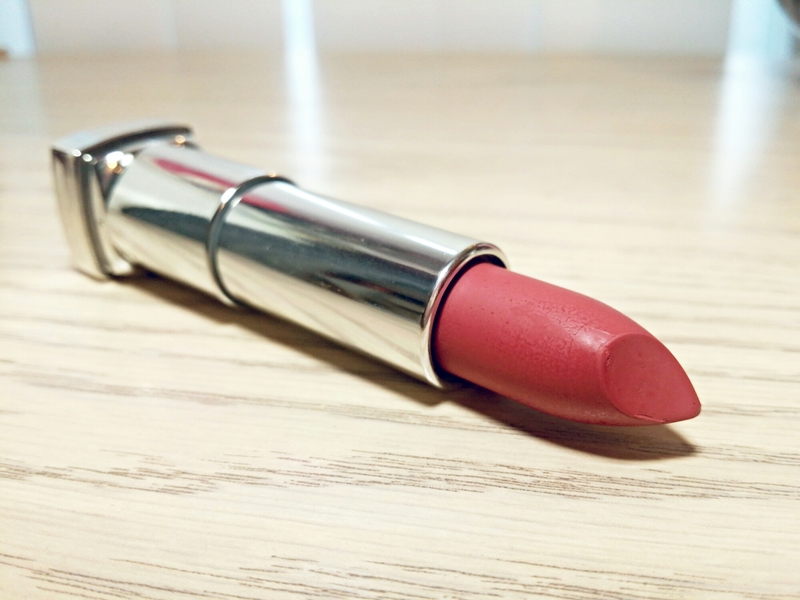 It’s a wonderful everyday lipstick! Don’t get me wrong. I still loveee my Mesmerizing Magenta but it’s a little hard to pull off when you don’t have time to put on much makeup. That’s why I’ve been loving Touch of Spice so much! 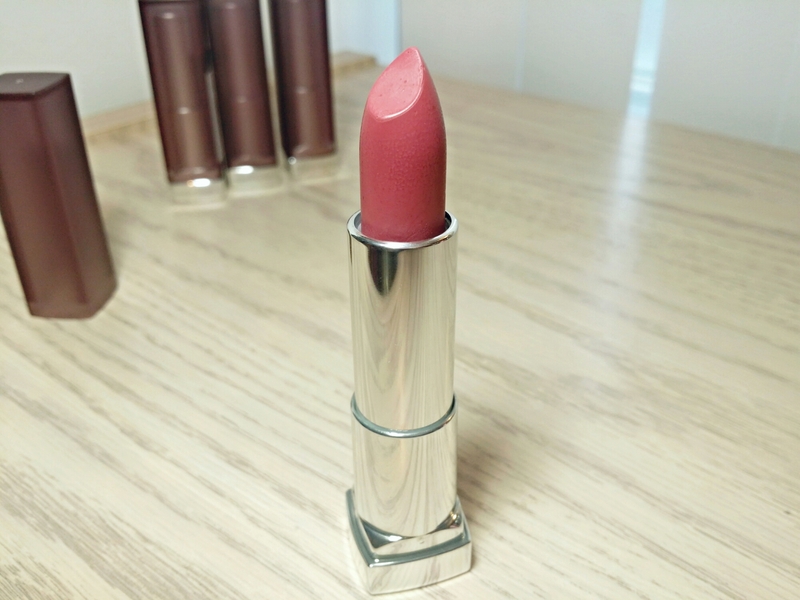 It’s a warm, rosy pink with a slight brown undertone and creamy matte finish. 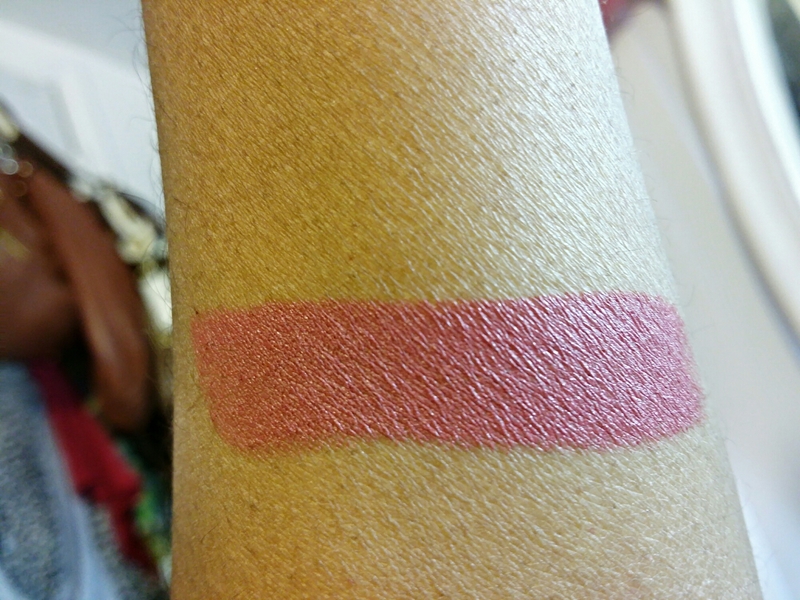 The color looks great on a variety of skin tones and it’s super easy to wear. I especially love how it looks against my brown skin. Very natural! Touch of Spice also has an amazingly comfortable formula that doesn’t tug or pull during application and applies with full coverage in a single swipe. It has a lightweight, creamy texture that doesn’t cling to the lips too much so it works well with my dry lips. The color didn’t emphasize flakes much or settle, bleed or feather. Touch of Spice wore quite well for around 3-4 hours before fading into a light stain that doesn’t look make my lips look all dry and icky. 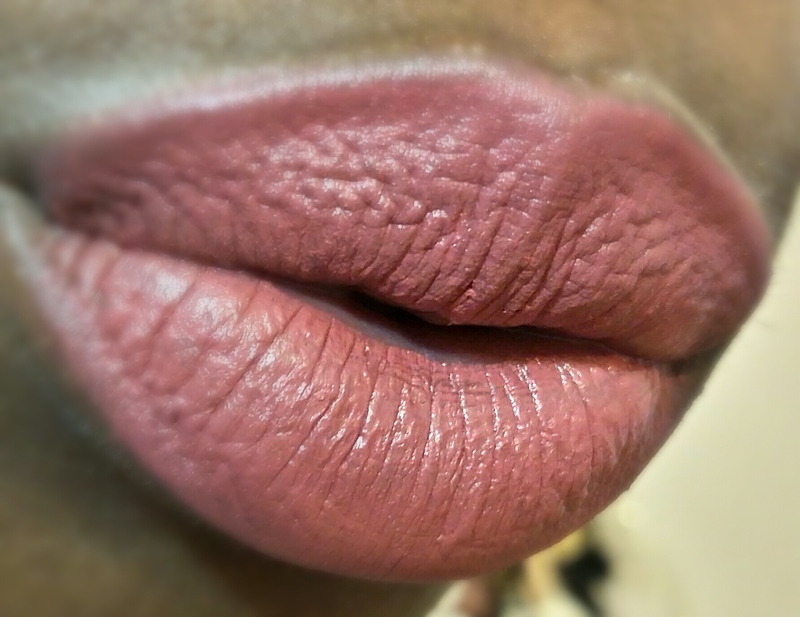 If I didn’t have a gazillion lipsticks to try I’d definitely rock this baby like everyday. It’s so fuss free!